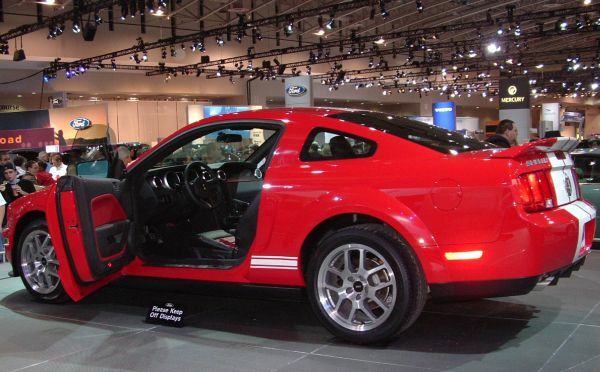 The Washington Auto Show is a huge event displaying more than 700 new makes and models of cars, trucks, mini-vans and sport utility vehicles from over 42 domestic and import automakers. The Washington Area New Automobile Dealers Association (WANADA) sponsors the auto show each year to entice, educate and entertain hundreds of thousands of consumers. The latest innovations in safety and sustainability will take center stage at the 2018 Washington Auto Show. The Intelligent Transportation SuperHighway will feature an exhibit on self-driving cars. Camp Jeep returns to offer rides along an indoor obstacle course with steep climbs and thrills. This is a great way to learn about more developments in hydrogen, clean diesel, electric, biofuel and natural gas technologies as well as in safety. Visitors will also find free car giveaways, special guests, promotional contests, children's activities and live entertainment. Monday-Thursday, noon - 9:00 p.m.
Friday, noon - 10:00 p.m. Parking is limited in the area. The best way to get to the Convention Center is by Metro. The closest Metro station is Mt. Vernon Place/Convention Center. See a guide to parking lots near the Convention Center. Tuesday, January 30, 2018. FREE tickets will be available to all active-duty military and veterans who present a valid military ID, retired ID, VA ID or DD214 and photo ID. The day will culminate with a performance by the Army Band, the band of the nation's capital. The American Red Cross will have a display featuring volunteers and one of its disaster response vehicles. A highly notable group of artists will showcase their live talents in ART-of-Motion. The art car display will feature over 8,000-square-feet of experiential graphic backdrops consisting of motorcycles, autos, fashion and murals. In addition to the painting of vehicles on site, fashion models posing as picturesque figurines will align inventive fusion and entertainment. The ART-of-Motion feature will be located on the upper level of the Convention Center. Designers will be painting vehicles and murals in real time. The Washington Auto Show presents 65,000 square feet of innovations in automotive safety and green technology with its “Advanced Technology SuperHighway” (ATS). This pavilion tells the story of the range of solutions revolutionizing the automotive industry, showcasing developments in electric, hybrid, hydrogen, clean diesel, natural gas, ethanol, biofuel and advanced petroleum technologies - and the very latest thinking in automotive safety. Displaying more green cars than any other domestic, tier-one auto show, the Washington Auto Show’s Advanced Technology SuperHighway presents the show’s most ambitious effort to support and promote progressive innovations for the automotive industry. The Air Show Returns to Andrews Air Force Base in 2017!